The armed police siege which led to a West Sussex road being evacuated is now over. Emergency services were at the scene of the siege in Irving Walk in Crawley for almost seven hours. Click here for the original story. 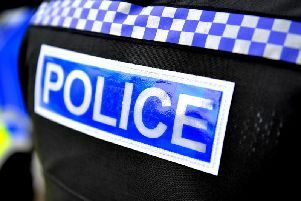 Officers and armed police were called to an address in the residential road at around 3pm today following reports of concern for a man’s welfare and behaviour. For the safety of nearby residents, the road was cordoned off and neigbours were evacuated to Tilgate Community Centre. Negotiations with the man ended when the siege finished at just before 10pm. It is unclear at this stage if the man has been arrested. A Sussex Police spokesman believed the man had not taken any hostages, but could not comment about whether he was in possession of a weapon as investigators were still at the scene.